Architect & designer Amee Allsop designed this brilliant solution for housing a designer shoe collection. 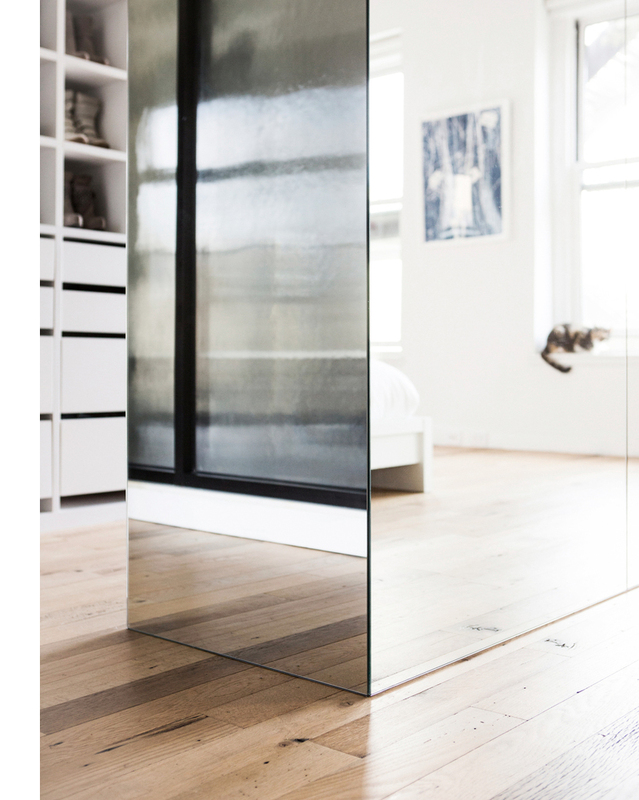 The mirrored wardrobe doesn't remove space from this open, airy room but also acts as a divider from the wall of shoes and the rest of the room. This is such a smart solution to me because I personally don't like walk-in closets but having some sort of partition between a dressing area and sleep area is still needed, this solves it while keeping everything bright and open. This is beautiful! Huge inspiration in our househunt + new interior !